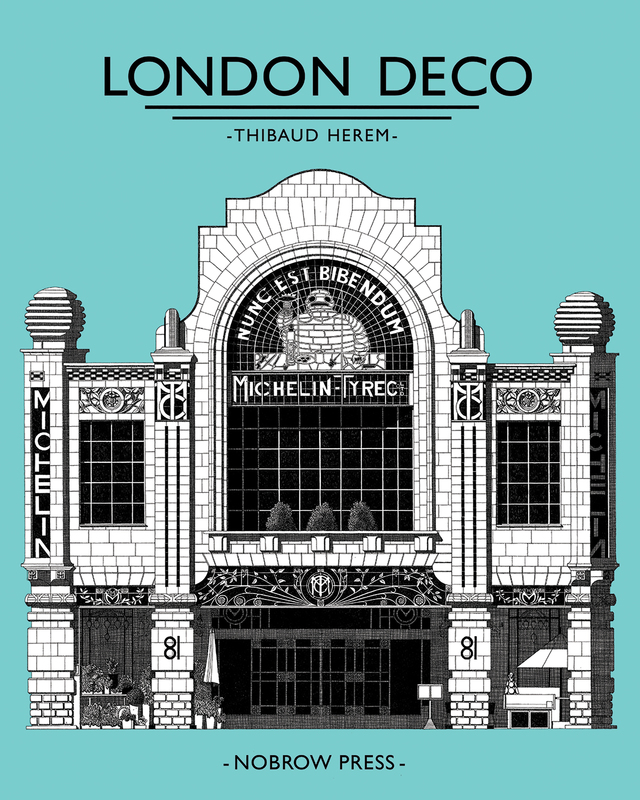 Join architectural illustrator Thibaud Herem as on a journey through the streets of London to discover the capital’s most intriguing, striking and elaborate art deco buildings. 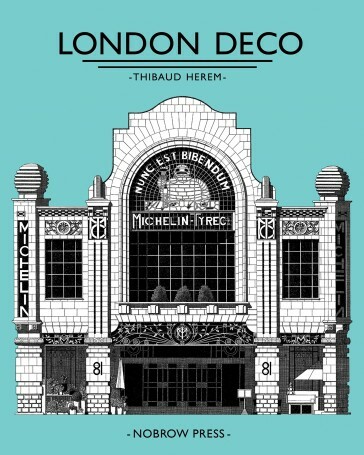 From imposing Orwellian giants to the hidden jewels of the thirties, Herem takes us on a tour of London’s forgotten Deco landmarks in an art edition of giant proportions. 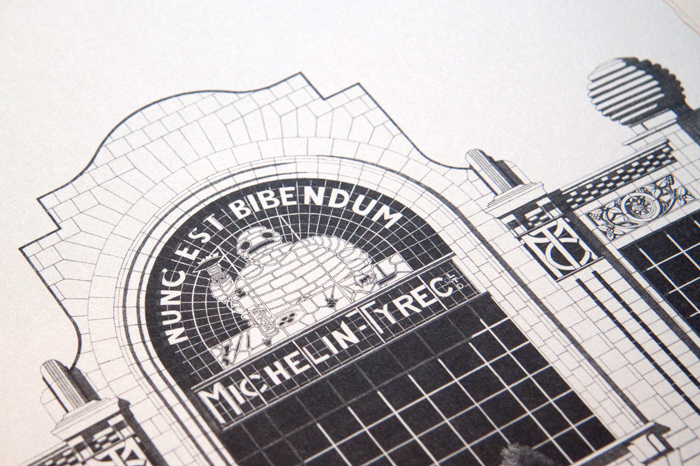 Each faithfully reproduced facade is accompanied on the reverse by a short passage on the building’s history. 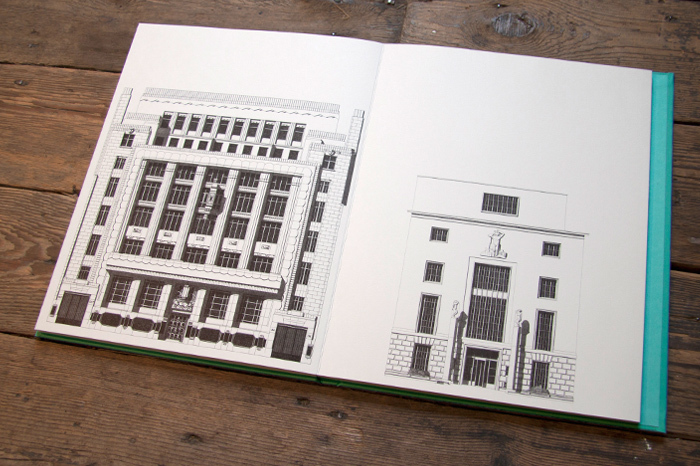 This 3 metre-long frieze details 11 of London’s most iconic art deco buildings including: The Hoover Factory, BBC Broadcasting House and Battersea Power Station. 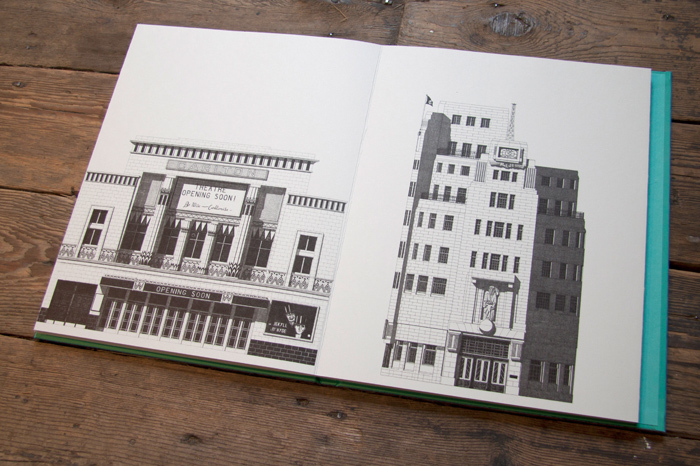 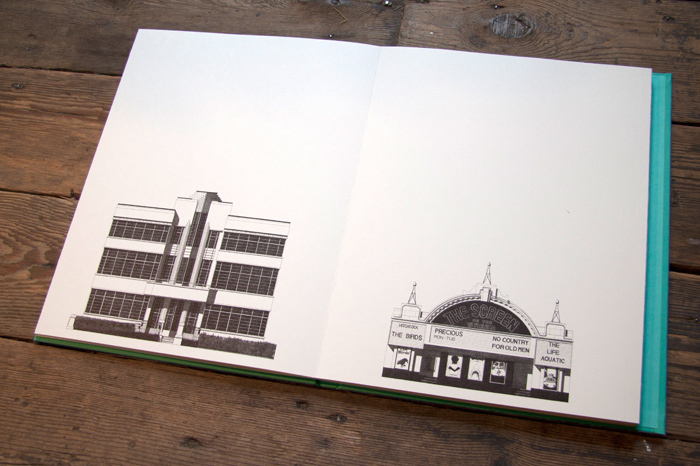 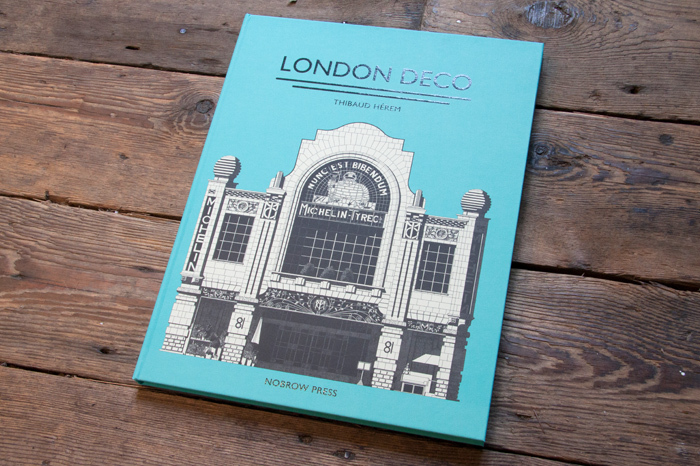 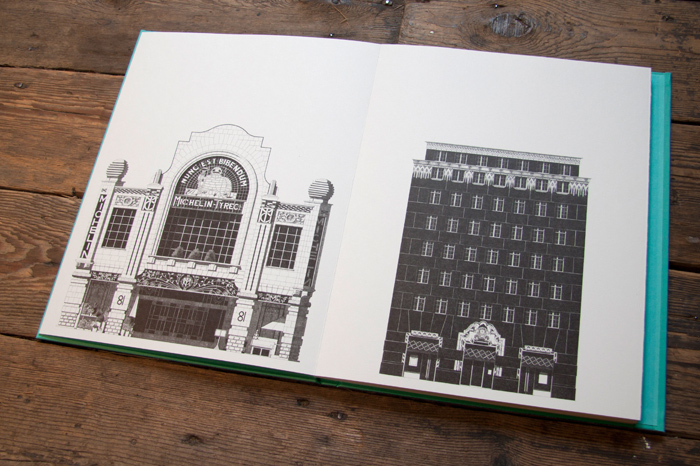 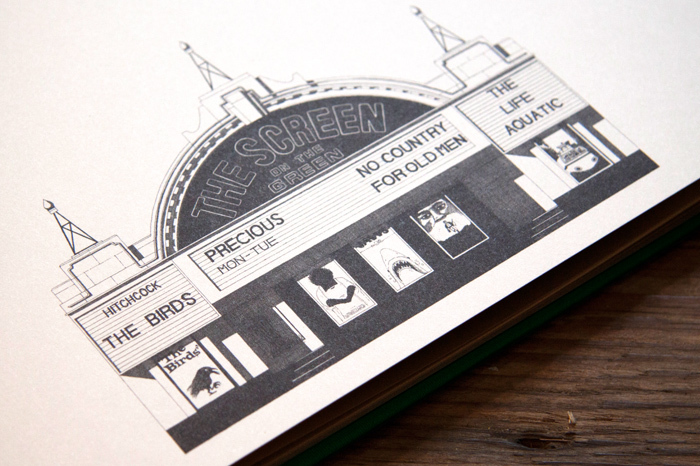 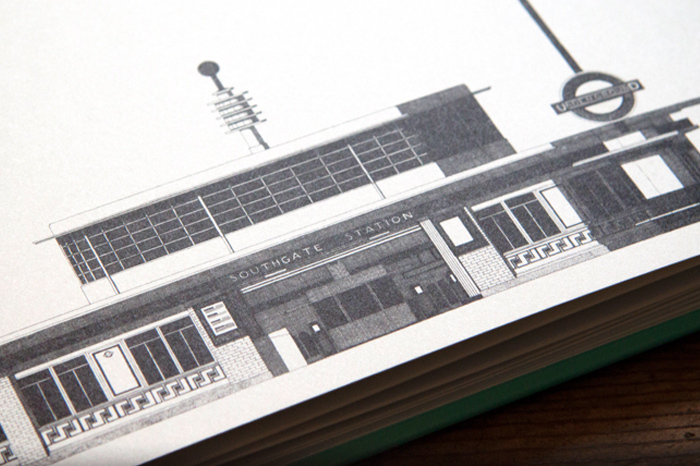 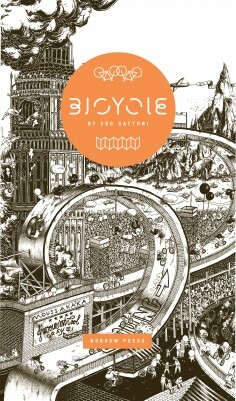 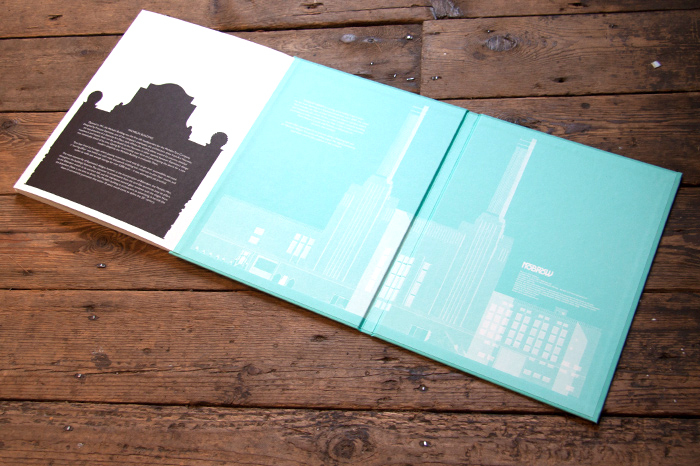 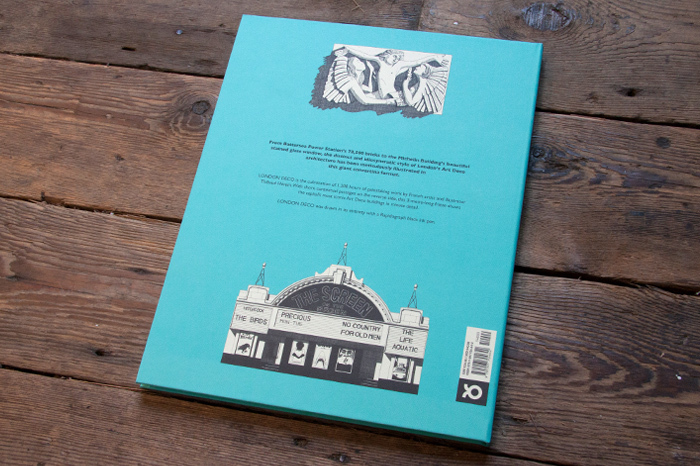 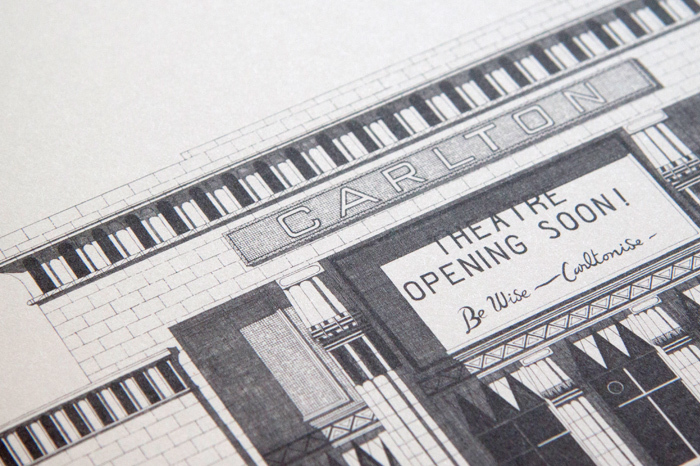 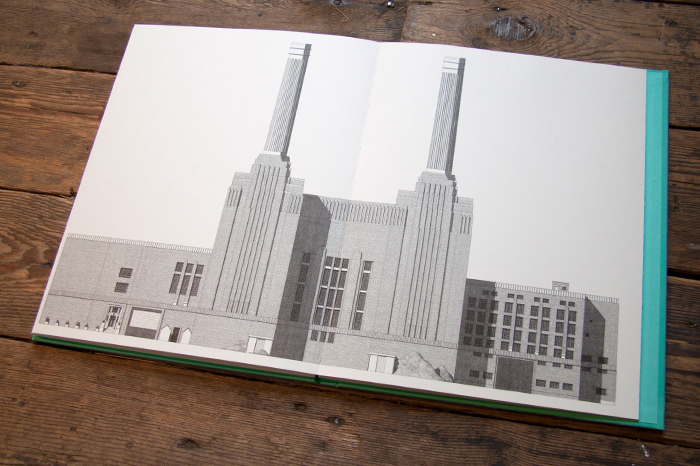 London Deco was drawn in its entirety using a Rotring Rapidograph pen and is lovingly printed on 300gsm uncoated Munken paper stock. 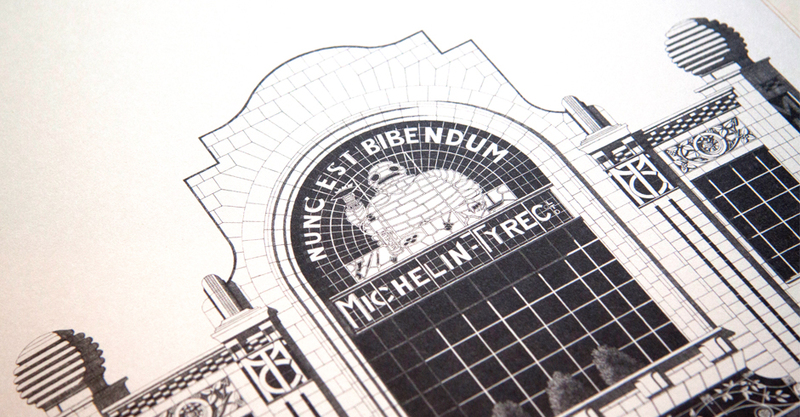 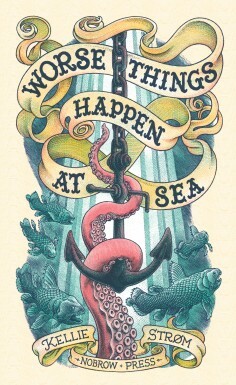 No digital processes were used in the creation of the artwork. 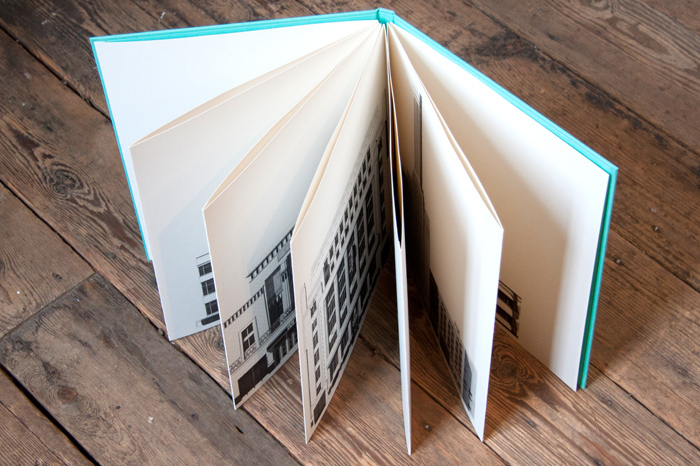 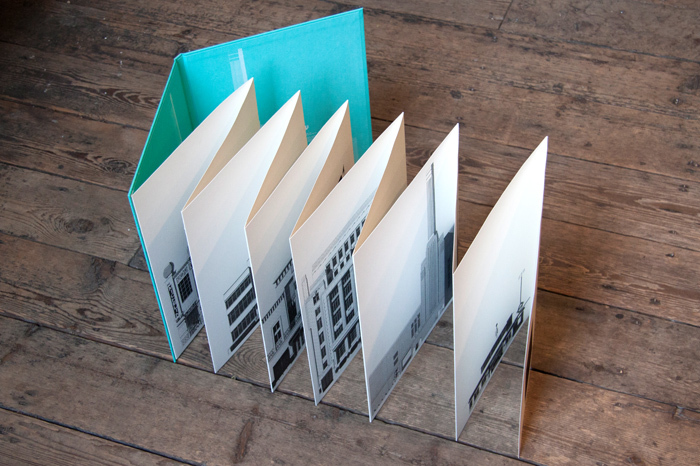 Leporello is an Italian word that is used across Europe to describe a ‘concertina’ book. 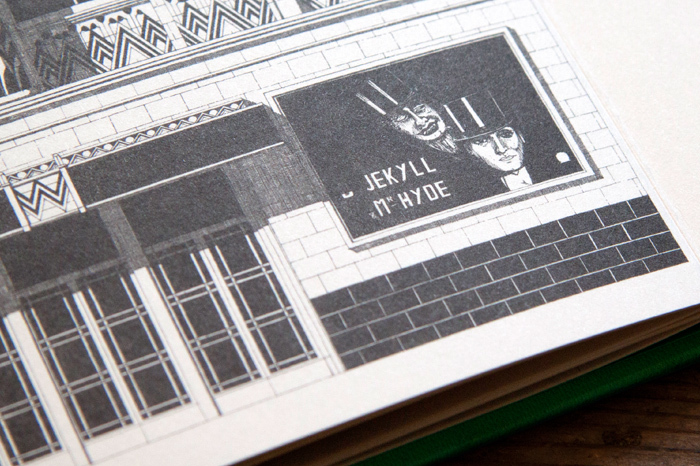 Originating from a Giovanni opera, Leporello was the name of Giovanni’s servant. 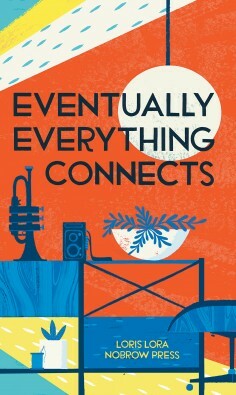 In a particularly comic scene Leporello explains to one of Giovanni’s jilted lovers that he isn’t worth her time by revealing a list of his conquests, which include 640 in Italy, 231 in Germany, 100 in France, 91 in Turkey and in Spain, 1003! 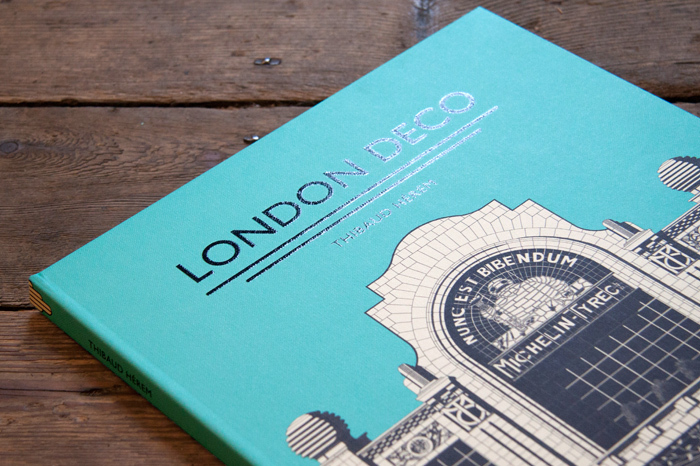 “Madamina, il catalogo è questo” – “Little lady, this is the catalogue!” he exclaims, as the little booklet unfolds and keeps unravelling until it gathers in a huge pile on the ground. 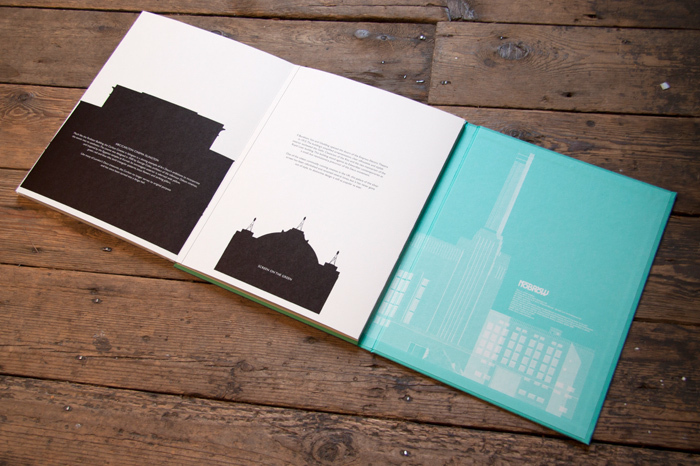 Thus the word ‘Leporello’ was born!